Behind The Shoes: Lauren's Summer Ice Lolly Nails. 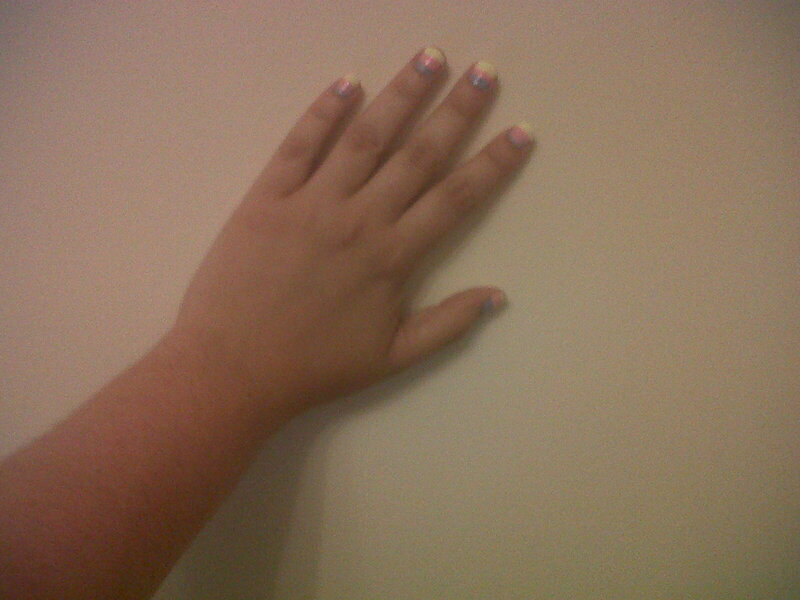 Lauren's Summer Ice Lolly Nails. I have called this design Lauren's Summer Ice Lolly. For my design I chose Beth's Blue,Lemon Meringue and Pastel Pink. I hadn't used Models Own nail polish before and I was really impressed with the colour and the consistency. It is also nice to have a big bottle of nail polish and at 14ml a bottle they are well worth the £5 each. Currently they have an offer on, to save money when buying multiples of any nail polish or eyeshadow powder. I am hoping to invest in more of the range in the future. Shoe o' the Day and Beyond !